I am a true chocolate lover! One of my favorite desserts are Brownies. I have tried numerous homemade brownie recipes, and none can beat this one! I got this recipe from my parent’s neighbor, Faith, years ago… and I have been using it ever since! Add vanilla, salt, cocoa and flour. Don't overbeat. This looks so yummy! I am going to try this one ASAP. Is this your moms!? I love those. You should post all her sweets ;) I'm going to try your chicken lasagna! Can't get enough of clhcooate chip cookies & I love the ways these look Julie. With these cookies firmly anchored as an American icon, it's wonderful to see them showing up in such beauitful avatars across the globe. I'm in love with your bakers twine, your pretty packaging with those monogrammed homemade cards & beautiful presentation! 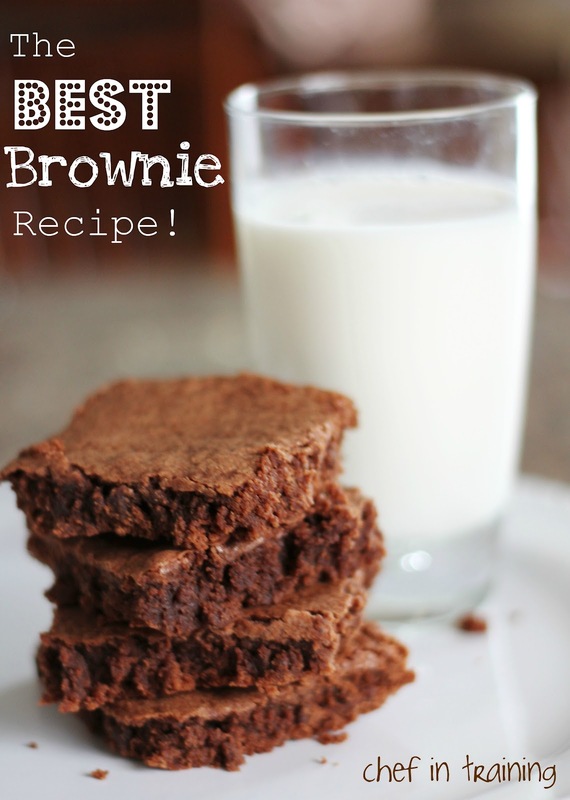 This is the best recipe for brownies that I have found. Thanks for sharing it!! I thought these brownies earned their title! Loved them! They're called FUDGE DREAM BARS in our family. We frost them....the usual chocolate powder sugar type.....and put it on the bars in dollops right out of the oven. As the frosting starts to "melt"....spread it and THEN cool, cut and eat. SOOOOO good!! I made these tonight for my coworkers..added in 2 Tbsp of Nutella and about a cup of ghirardelli's semi sweet chips to the brownie batter..have mercy :) I've been using this base brownie recipe a few times now..it is now my go to brownie recipe for whatever brownie recipe I am using and I cannot thank you (or Faith) enough for sharing it!! It's awesome! Omg this are the best brownies I've ever tasted! This is awesome. I lost my old recipe and had to find a new one. I found this. It's so chocolatly. I love this recipe! I can barely stop eating the batter when I make it! I actually used this recipe to make a chocolate brownie cake for my wedding dessert bar. I took two round cake pans to make a two layer cake and doubled the recipe. Then I frosted it with chocolate frosting and put chocolate chips on top. It was amazing! Melted butter or room temp? can you tell me if 1-1/3 cups flour is 1 and a 1/3 of cup? Can u please tell me which cocoa powder u Use....likE unsweetened or dark?